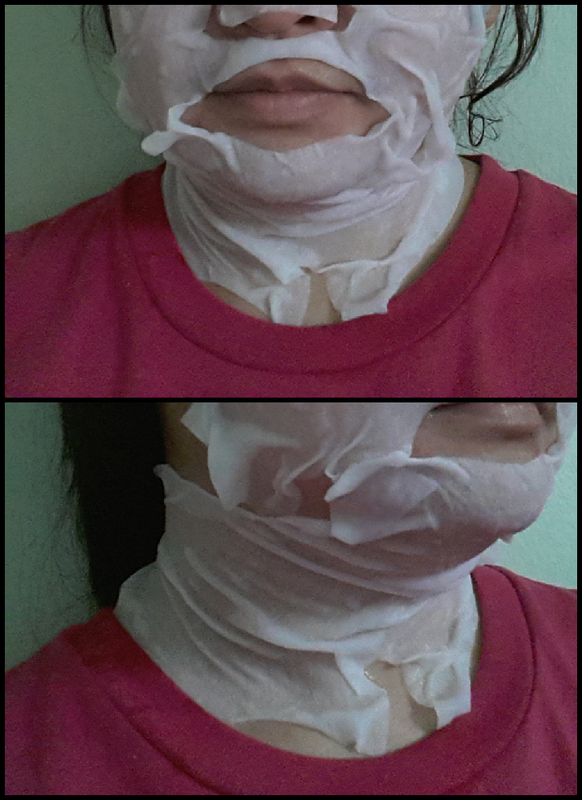 What every gal want: Product Review; Silk Mask for face and neck! Product Review; Silk Mask for face and neck! 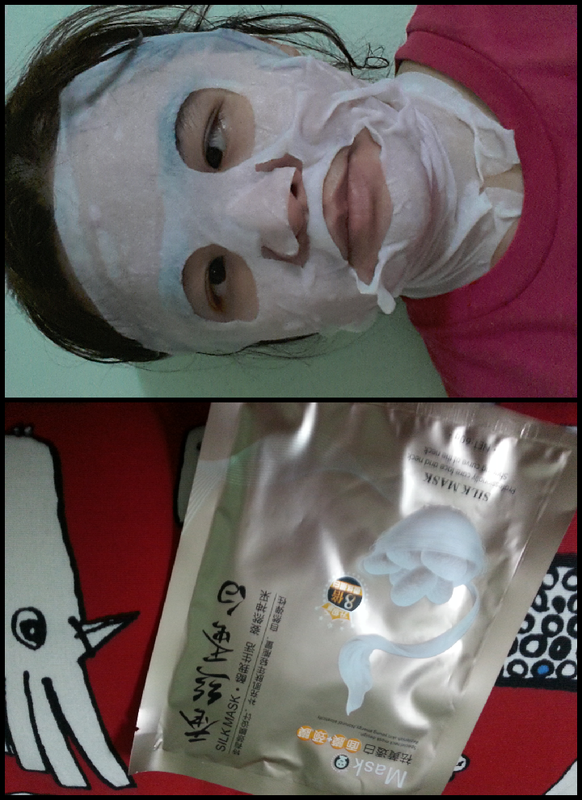 I am very happy using this mask, yeah for the first time using this Silk Mask. 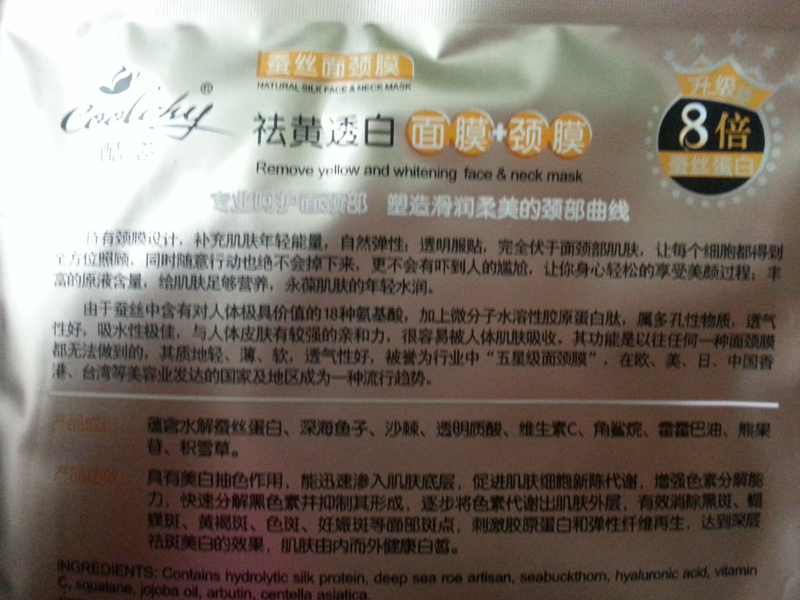 It is special neck mask design, replenish skin young energy. Come on have you seen any mask that has design like this before? Check out below picture of me I have side view of my neck too! Silk Mask is professionally care face and neck, shaping curve of the neck as you can see above picture. This mask is Net.60g. If you know reading Chinese language you may click below picture for closer look. The ingredients of this mask contains hydrolytic silk protein, deep sea roe artisan, seabuckthm, hyaluronic acid, vitamin C, squalane, jojoba oil, arbutin, centella asiatica. I apply this mask for about 15 min to 20 min. After remove the mask just gently pant your face with your hands. You can even wash your face but I didn't wash it. After using this mask I put on the night cream before going to bed. This mask is suitable for daily use. This mask is use for remove yellow and whitening face and neck mask!